A tea set for Esse, one of the biggest Turkish culinary retail, that has coherence between elements and designed Turkish households in mind. 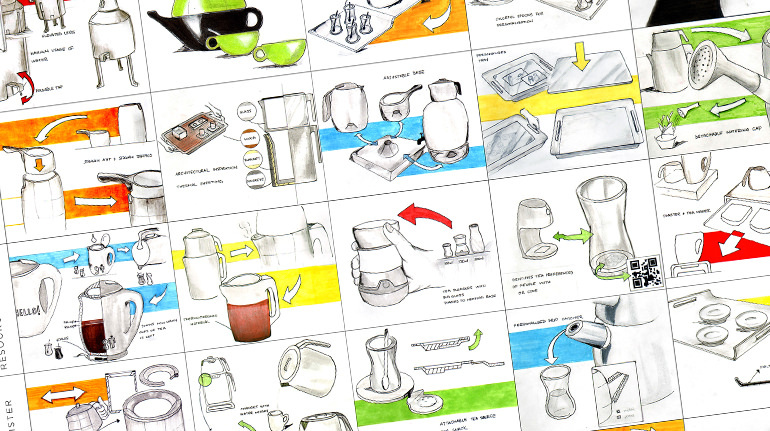 Brief: Design a tea brewer, and a serving set that improves drinking Turkish tea experience. 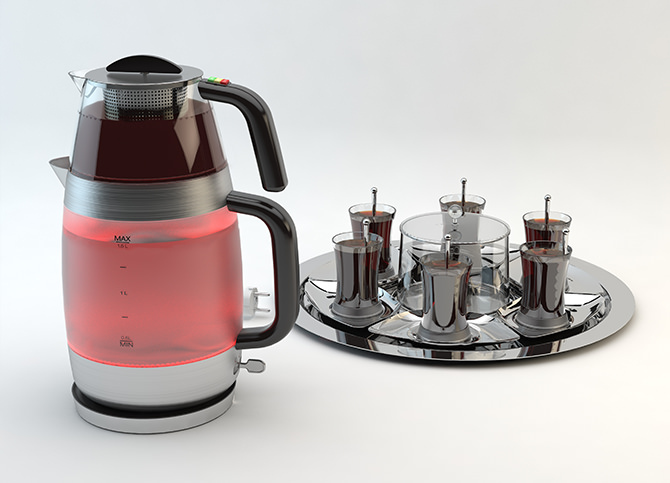 Designed with-in existing Turkish rituals on tea making and serving, Spotea offers a better tea experience to low-to-middle class families by smart use of materials. 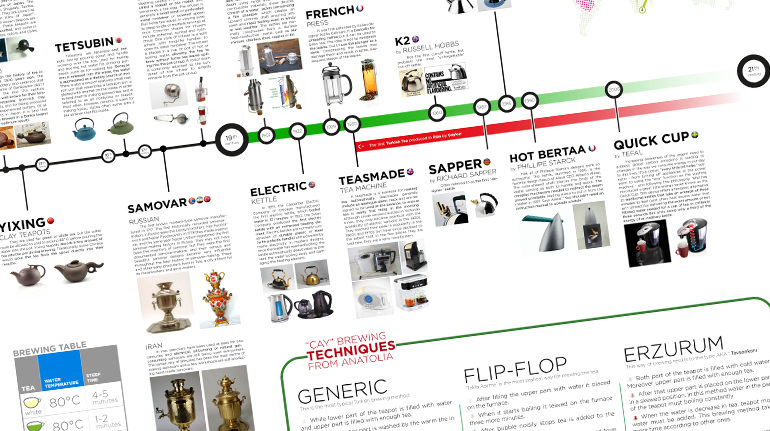 It eliminates going to nearby tea maker for checking the status of boiling by expressing the interface among itself, reflecting light through its body. By this way, users may know the status of their tea, just by seeing the lights through the kitchen even its dark. As the temperature of water rises, Spotea changes it's to the corresponding optimum brewing temperature of the green tea, herbal tea, and black tea. 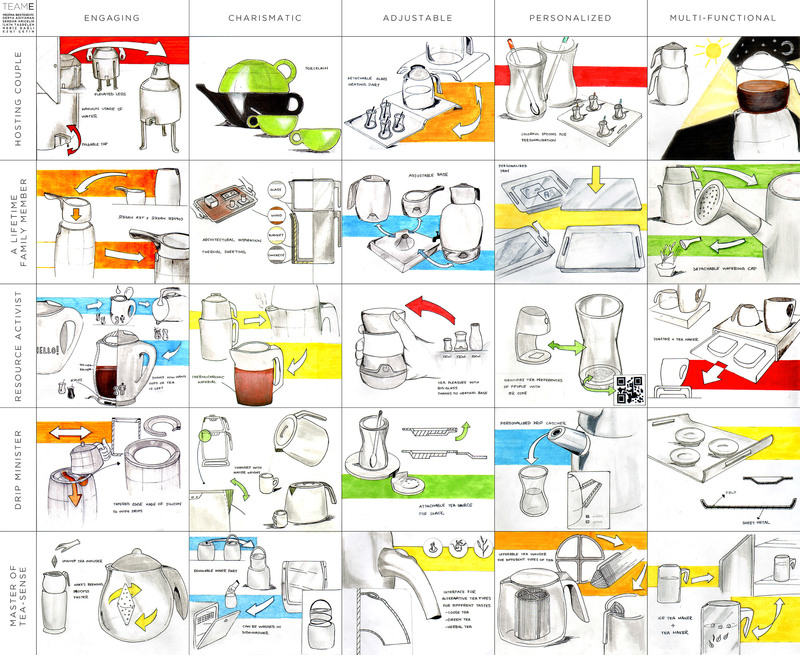 Since different tea types require different temps to brew; there are two temp–based modes: 80°c for green or herbal tea, 100°c for black tea. To prevent bitter taste in the tea, the handle of the brewer filter is 'pushed and turned' to cut the surface contact between tea leaves and water. Inspired by traditional Turkish serving tray “aski a.k.a çayci askisi”, serving set aims to enable serving max. capacity possible by its smart area use. To get warm about tea-making processes, as a group of five, we've tried to learn about the history of tea-making and tea-serving. 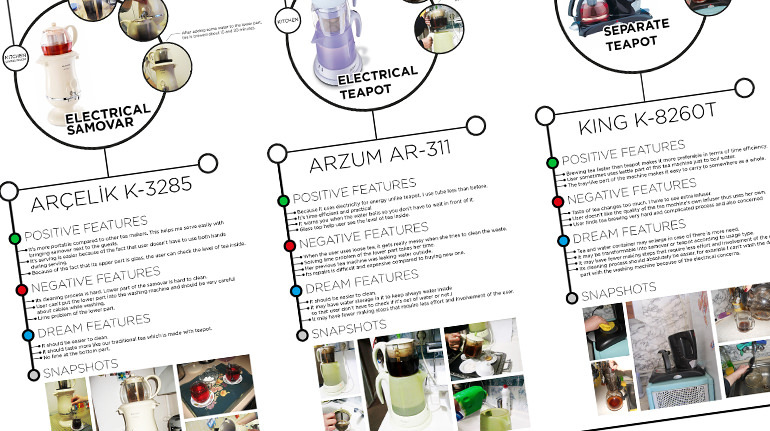 To understand users' mental model, we interviewed with three users; who have three different types of tea-makers. 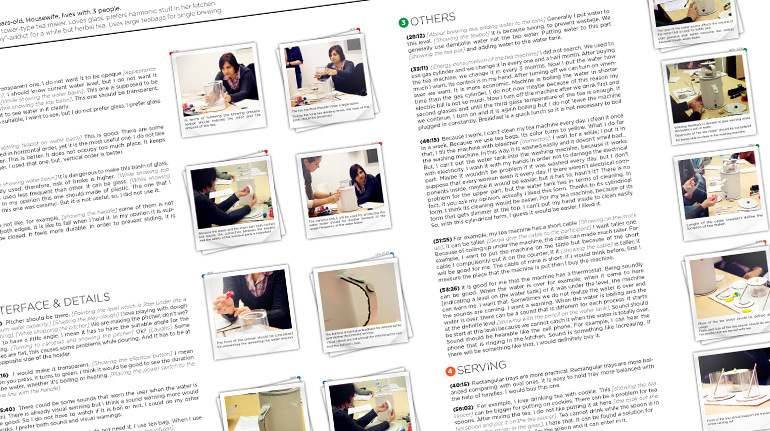 To learn from experience by observing a user’s actual tea-making process, our group used an interview technique, Experience Reflection Modelling (ERM) developed by Dr. Senem Turhan. To generate initial ideas as a group, we have used "the idea generation matrix method"; which helped us to combine and transform two different ideas into one. 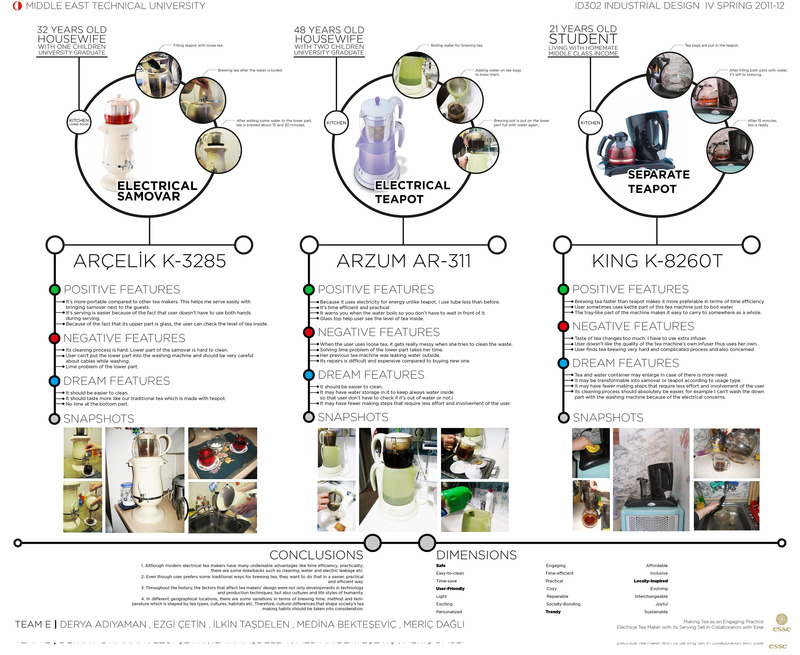 This was the first project that I got introduced user-centered design research and methods in-depth. 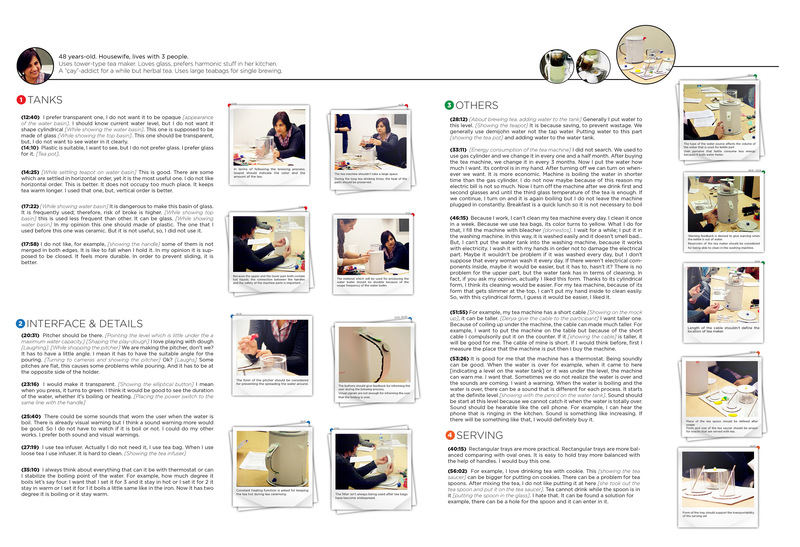 I learned and did user interviews, contextual inquiries in the research phase. 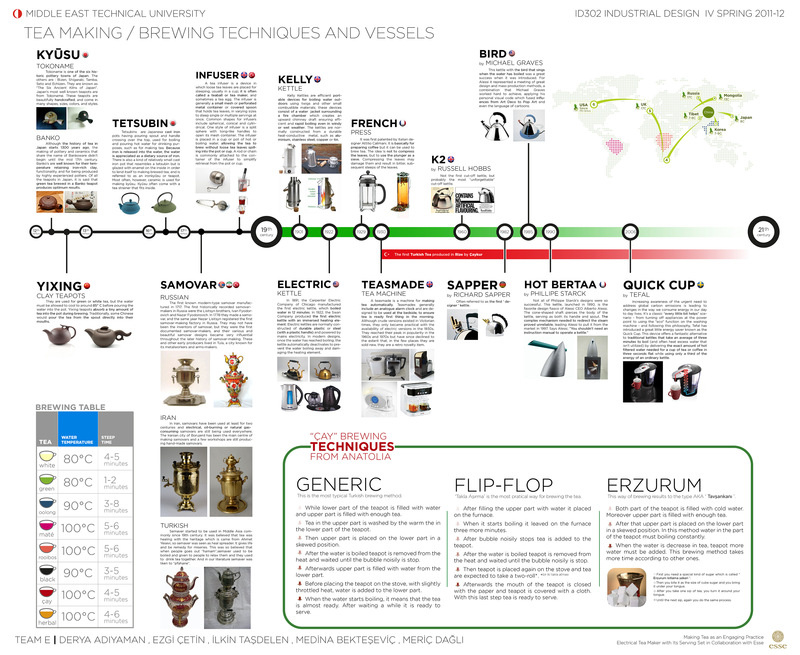 After the research phase, I also practiced workshop tools and machining as part of my form-giving process. 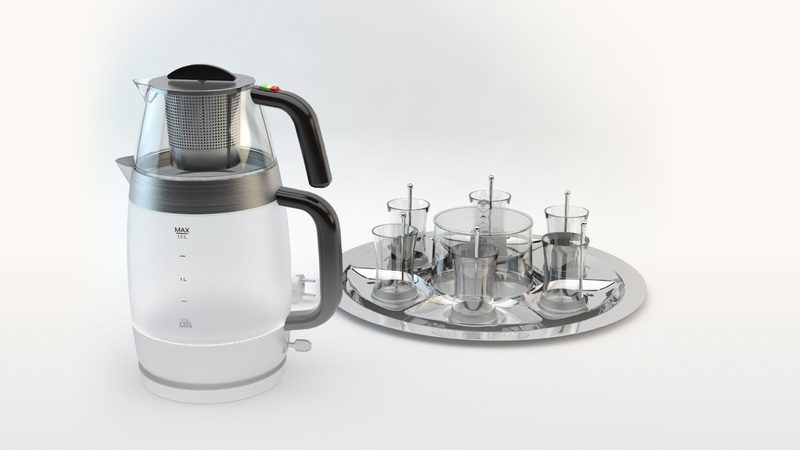 After I finalized my form, I learned to work with 3D Studio Max and Vray rendering engine to create product shots. reordered the power-off switch on the switch and put the power-off part in the middle.